Very FINO mare imported from Venezuela in l998. Quick and low, with elegant movement. 2000: Spectrum 2000 Reserve Grand Champion A/O Classic Fino Mare; 3rd Grand Champion Classic Fino A/O Mares; PFHA National Honorable Mention A/O Classic Fino Mare. 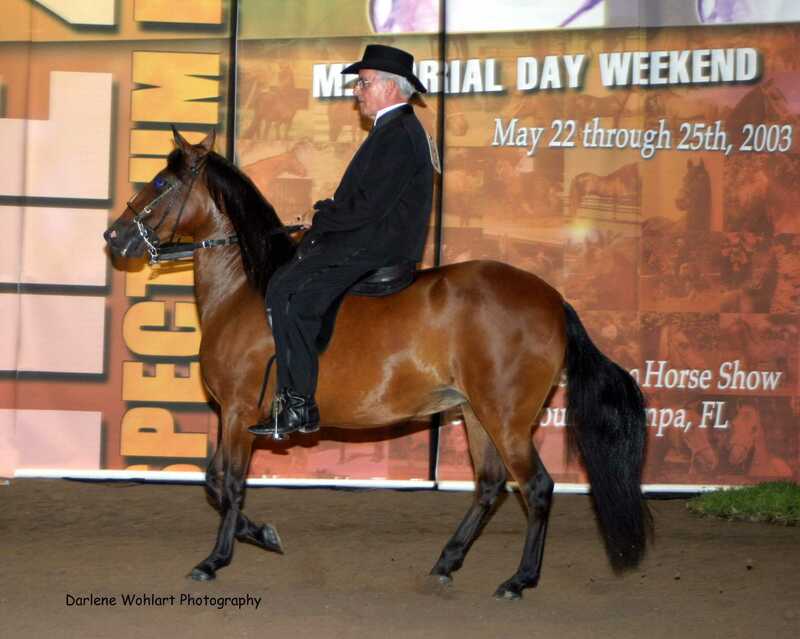 2003: SRPFHA Extravaganza Reserve Champion Fino A/O Mare. Foaled 8/20/03 - Bay Colt by Gandhi de La Vitrina. 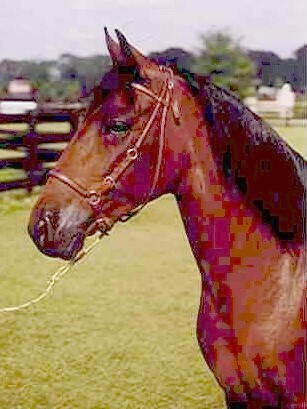 Foaled 3/15/04 - Bay Colt by Amadeus de Resorte Cuarto. Foaled 4/9/05 - Bay Filly by Arco Iris de Capuchino . Leased belly - had colt in 2006. Foaled 5/27/07 - Bay Colt by Torbellino de La Sierra. Bred to El Aprendiz de Colores for May 2009 in utero foal - had Bachata de Colores. Bred to El Caucus de Resplandor for in utero foal due March 2012 - had Bolitero de Colores.